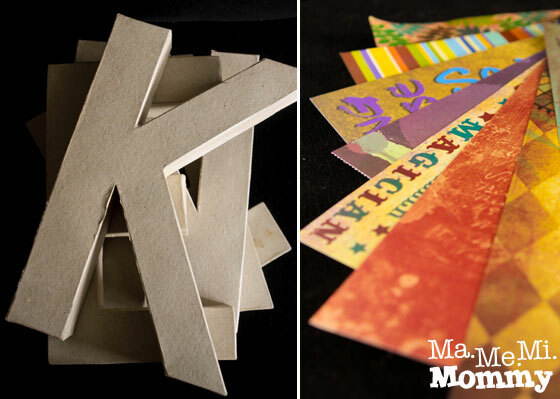 These days, cardboard letters are everywhere! We see them in birthday parties, adorning the stage, the cake table, and the dessert table. We see them in kids’ rooms decorating the walls. They can go as small as 3 inches to as big as a couple of feet. 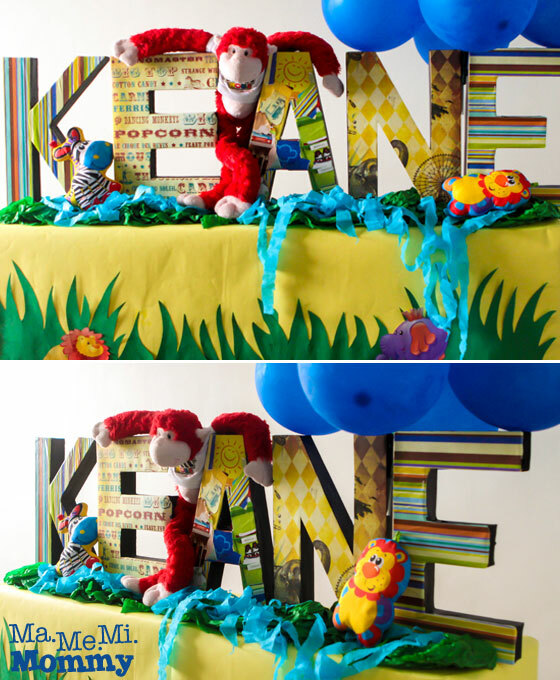 In this post, I’ll show you how I decorated these cardboard letters for use on a dessert table. 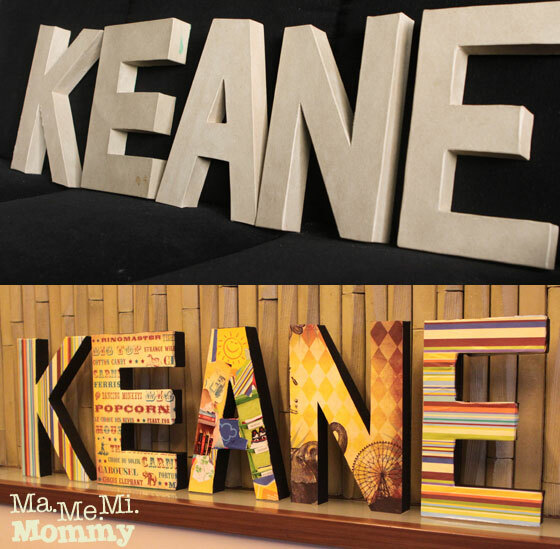 This photo shows the before and after of the letters. According to my friend, she was able to buy her cardboard letters from Tabora in Divisoria. Small ones cost P10, medium at P20, and large at P65. Not being a Divisoria girl, I tried my luck at the Greenhills tyangge and was able to find some. Whew! The largest ones they have are 12 inches high, which are just perfect for my taste. I was able to haggle the price down to P80 per letter (their initial price was P120!). I find the letters a bit too thin though, save for the first letter E. That E was from a different store. I like the thickness of it but sadly, they don’t have all the letters I need. 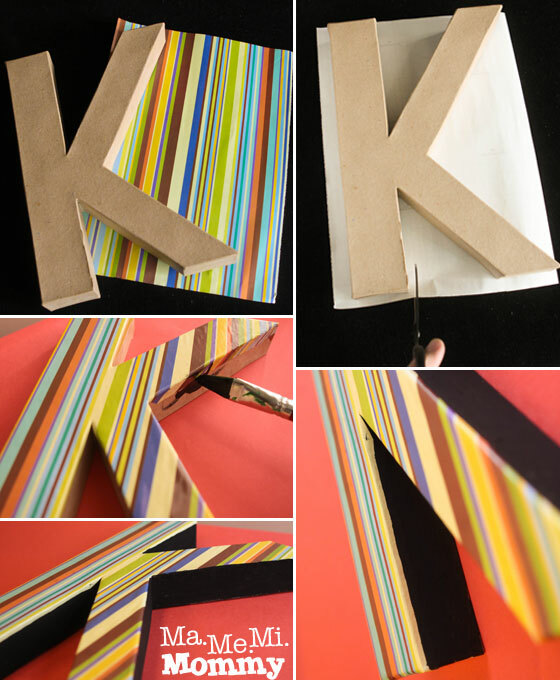 Cut the paper to the size of the letter plus a bit of extra so that you can wrap it and let it “bleed” to the sides. 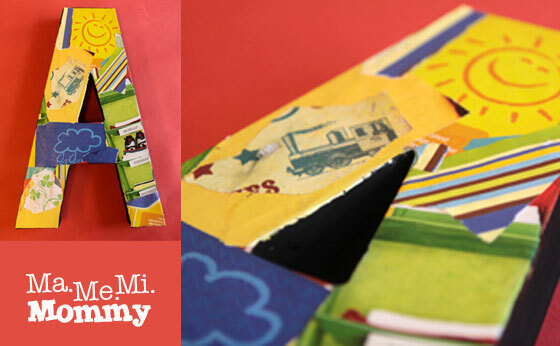 Glue the paper onto the cardboard. Paint the sides of the cardboard. I find that it’s nicer not to paint too close to the edge but to leave a little of the paper unpainted to give a nice wraparound look. Let it dry. Proceed to do the next letter. For this letter, I could not find papers with colours that matched my palette so I resorted to tearing pieces from magazines. It became like a collage and came out real nice. Again, these are the letters once finished.